We've know for a while now that Windows 10 would support for alternative log-in options like fingerprint, facial and iris recognition. Thanks to Windows Hello, unlocking a phone with facial recognition is possible, but using a finger to access your device hasn't been an option. Well, that's about to change. At the WinHEC conference this week, Microsoft announced that support for fingerprint scanners will be part of a Windows 10 Mobile update this summer. Of course, that software feature will need hardware to support it. 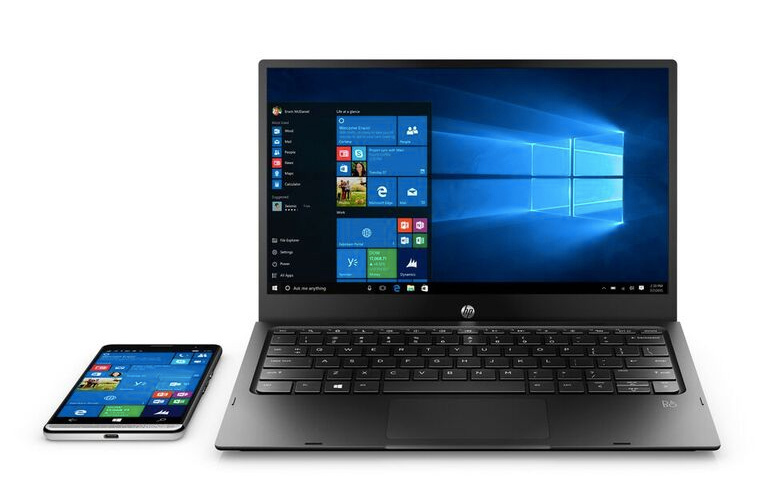 HP's Elite X3, a phone that doubles as a laptop, has a fingerprint scanner but we'll have to wait and see if other device makers adopt the Windows Hello tool. Microsoft says while some OEMs have experience with fingerprint components from FPC and Synaptics, using scanners from other companies may take a bit more effort to work alongside Windows 10. The Anniversary Update that will deliver the feature is in testing now, and it should arrive in July for both desktop and mobile. LG has made an action camera that can live stream to YouTube (or anywhere else) without a phone or WiFi. The LG Action CAM LTE (clearly, hours spent on the name) has onboard 4G to beam video direct to the web. The camera itself looks like an elongated GoPro Hero4 Session (the frame it's hanging from in the picture looks almost identical). Unlike GoPro cameras, though, LG's Action CAM has built-in GPS and motion sensors -- much like the Garmin, or TomTom action cameras. This means you'll be able to record where your footage was taken, gather metrics or easily find video highlights later. 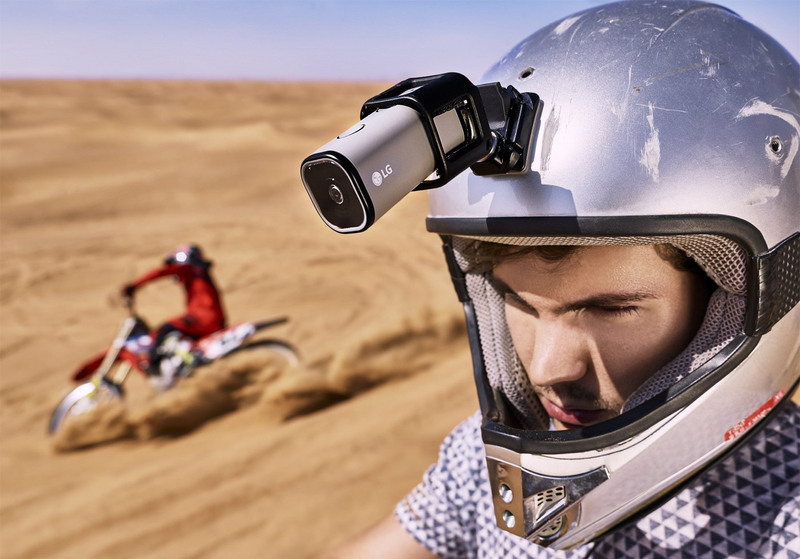 The Action CAM's 12-megapixel sensor shoots 4K/UHD at 30 frames per second (fps), 1080p at 60fps and for extra slo-mo, there's a 120 fps option at 720p. If you're hoping to make use of the cellular livestreaming, then you're limited to 720p at 30 fps. That cell connection isn't the only way to get video out of the camera though. The Action CAM supports memory cards up to 2TB, and there's built in WiFi and Bluetooth too (plus good old USB of course). LG says the Action CAM is part of its "Friend" line of accessories, which it launched in Barcelona earlier this year with the LG G5, although there are no specifics about how it actually fits in with the rest of the line (especially as it doesn't need to borrow the phone's data connection). It's likely that you'll be able to use a handset as a viewfinder though. The Action CAM is also waterproof to one meter for 30 minutes without a case, so you'll definitely not want your phone with it then (we also imagine this hinders livestreaming). On paper, the Action CAM seems to offer more features than most of its rivals. GoPro cameras don't have motion sensors, and there are very few with livestreaming built in right now. GoPro gets around this by native support for Periscope, but that still requires you have your phone within WiFi reach. We can't tell you if this makes LG's camera a worthy rival just yet, as we have no idea about price, data costs and even where it'll be available beyond South Korea next month, followed by the US and Europe later. HumanEyes swore up and down that its Vuze virtual reality camera would undercut the price of professional cams by thousands of dollars, and it clearly wasn't kidding around. 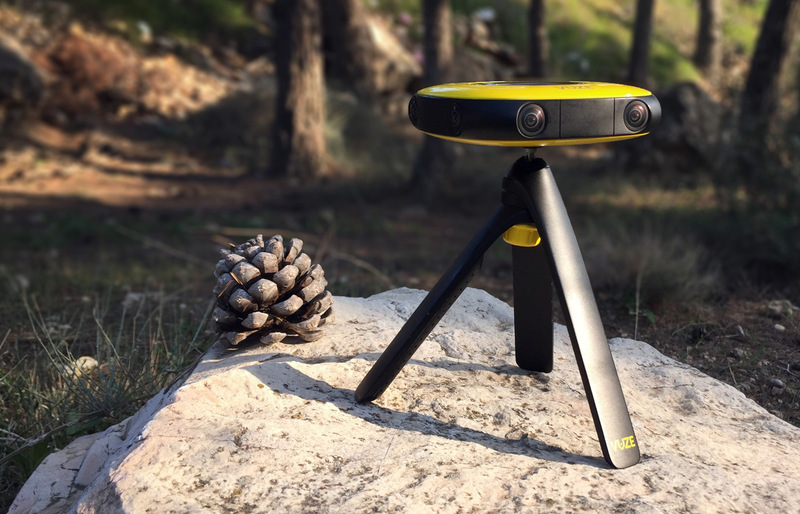 The company has started taking pre-orders for its 3D 360-degree camera at a relatively modest $799. That's significantly less than the under-$1,000 target it set back in January, and a sliver of the cost of high-end alternatives -- even GoPro's upcoming Omni rig is likely to be much more expensive, and only shoots in 2D. You'll have to wait until the fall to get your unit, though, so don't count on using the Vuze for a VR vacation documentary. This isn't the cheapest or most portable VR camera you can get. Ricoh, Samsung and others are already making smaller 360-degree cameras that cost under $400, and Nikon's upcoming KeyMission 360 may be similarly affordable, but all these options only shoot in 2D. Vuze's system packs eight cameras versus two to four on most of these competitors, which is what allows to record in 3D (or 2D at higher resolution). Another advantage of the extra optics, is it doesn't have to rely on fisheye lenses (and thus compensate for serious distortion) to create its wrap-around 4K picture. As such, this might be the best way to capture VR video on an enthusiast's budget. You're theoretically getting the quality of the pro option without the bank-busting cost. Properly lighting a tiny subject when doing macro photography is tricky since your camera ends up so close to it. 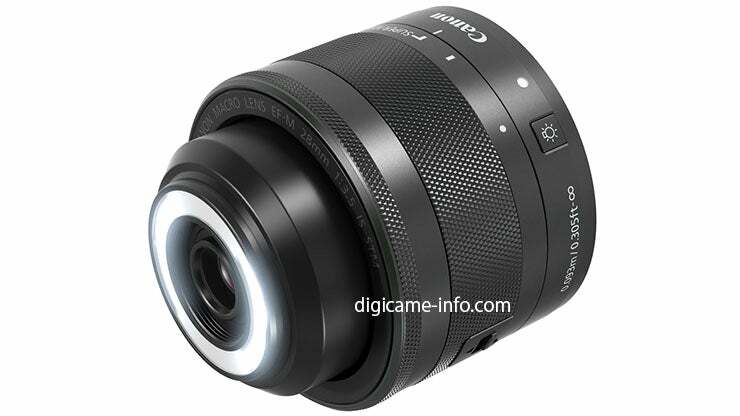 A ring light surrounding the lens is one solution to the problem, and it looks like Canon might soon be releasing a macro lens featuring an LED ring light built right in.